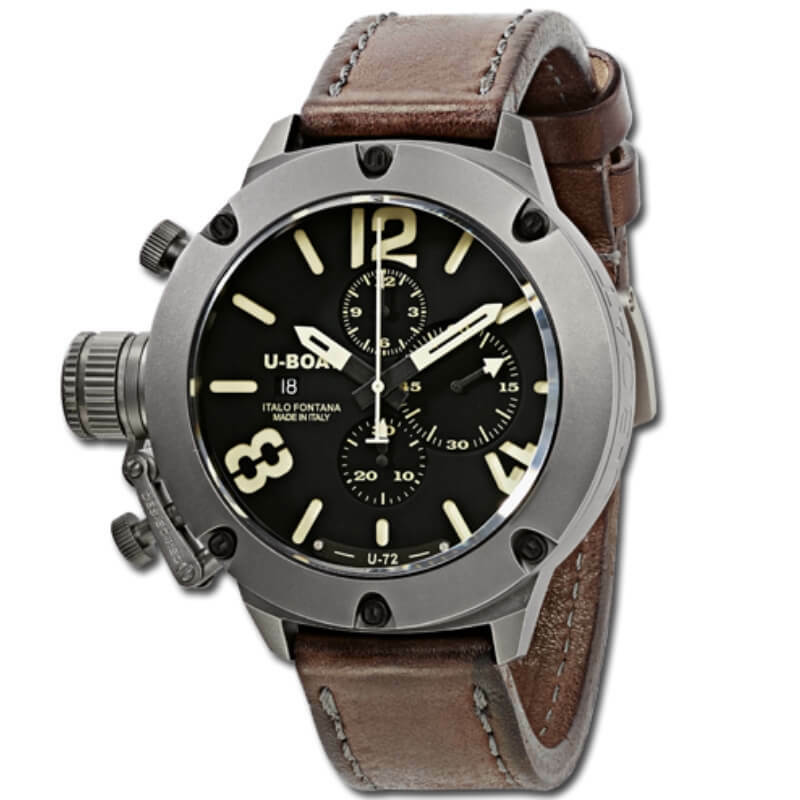 U-77 movement automatic chronograph modified and personalized at U-BOAT specifications.Frequency: 28,800 vibrations per hour, 4 Hz. Power reserve: 48 hours. 25 jewels. 53 mm diameter, titanium case. Distinguishing crown on left side, with a patented protective device. Bezel in titanium, attached by six personalized screws to the case. Case back secured by six screws. Two superimposed dials: one in black. Spheres and indexes in beige colour treated with superluminova. Sapphire glass, highly resistant (2.50 mm thickness). Hand made and hand finished calf leather fastened to the case with screws. Tongue buckle in titanium. Width: 23/22 mm.